What does the life index say? According to life index study, white South Africans lead a considerably better life than all other races in the country, says a recent study by the Institute of Race Relations. The study analysed various social indicators to determine the quality of life each race group living in South Africa experiences. The report also tabled the living standards per region by applying the same indicators to all nine provinces. These indicators included the matric pass rate, access to basic services, unemployment rate, average household spend and access to medical aid. Experts believe a Democratic Developmental State model may be one of the ways to curb the inequality displayed by the IRR’s report, but effectively implementing this model in an “increasingly dysfunctional state” may hinder any sort of change. The author of the report, Gerbrandt van Heerden, said the index also shows that Black South Africans have a “far poorer” quality of life than Indian and Coloured citizens. The report begins by comparing issues of education, income and employment, tabling the differences among each race group in last year’s matric exam results and Stats SA’s General Household Survey. The results show a 30% difference in the pass rates of White and Black pupils across the country while the White population is at least four times less likely to be unemployed than Blacks. Indian and White households also have more money to spend. The report found 63.3% of White households and 42.3% of Indian households spend R10 000 or more per month. This is a stark contrast to the 8.1% of Black – and 18.9% of Coloured – households who are able to spend the same amount. 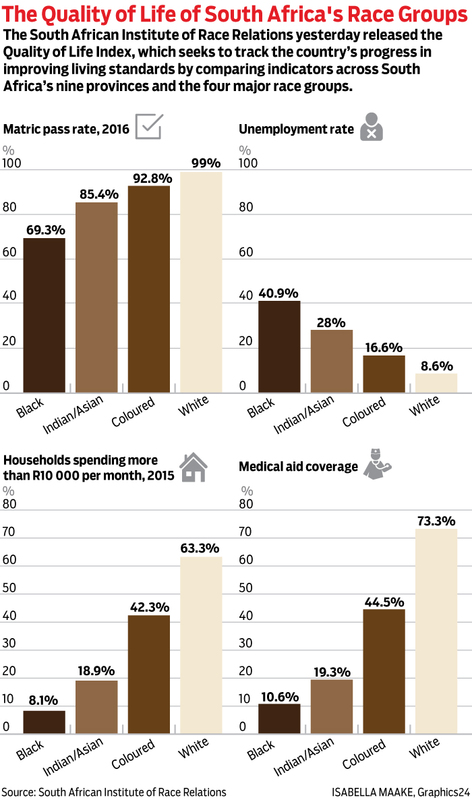 While the differences in the receiving of basic services like piped water, electricity and basic sanitation are slighter, the report found 62% more White households have access to medical aid coverage than Blacks. Devan Pillay, associate professor of sociology at Wits University, said how to reform South Africa’s inequality is the million-dollar question. “We must not forget that within each race, there are levels of division as well. The IRR relies on market forces to determine their development outcomes and this encourages their results of inequality. Those who have had privileges in the past, will continue to thrive now,” Pillay said. Although some suggest a “wholesale nationalization” of the country’s wealth and others suggest a free market approach, Pillay said South Africa instead needs transparency in the State and in the markets. “We need a Democratic Developmental State model to really drive equality but issues of corruption, looting of the State, nepotism and cronyism all hinder this and have a negative impact on the quality of life. We need redistributive measures like free education, a national health insurance policy and basic income grants,” Pillay said. The Institute for Justice and Reconciliation’s Ayesha Fakie said the findings are interesting but not surprising. “We as a nation know that we have one of the worst ratios of wealth and income inequality globally. Because of structural legacies that continue to impact on our daily lives, these inequalities as highlighted by the Index play out along racial lines. What would be interesting is to understand – on a quantitative level – is how inequality impacts along gender identities as well,” Fakie said. Fakie suggested redistributive approaches to economic exclusion should be taken to build truly inclusive economies. 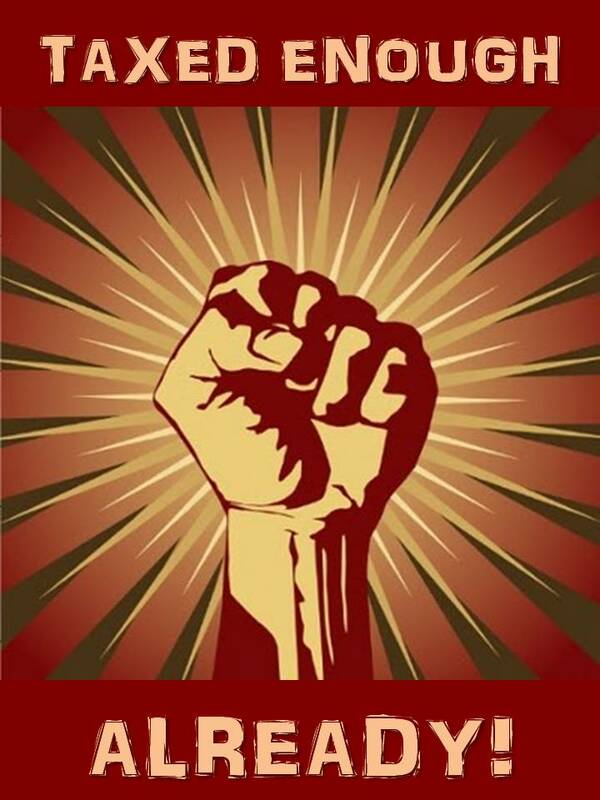 “The current inequality did not come about naturally but through deliberate efforts to ensure that wealth accrued only to a white minority via various Apartheid laws. Generational effects ensure wealth remains highly skewed, as the survey indicates. Inequality must be addressed through greater access to material capabilities that ensures improved quality of life; education, healthcare, employment,” Fakie said.